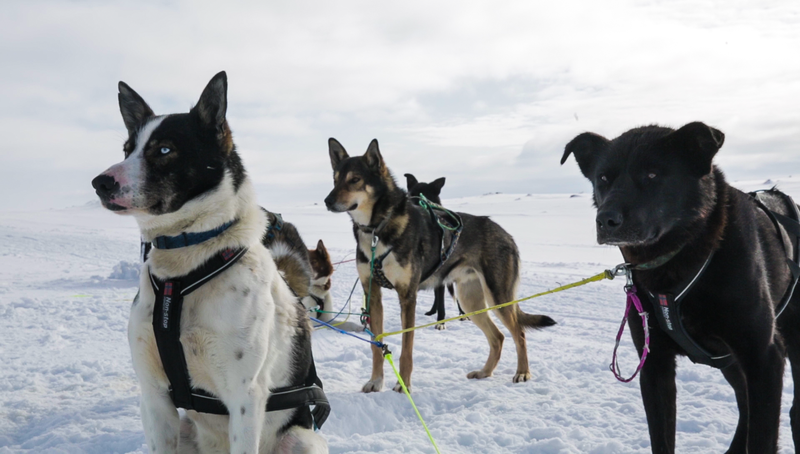 This is one of the shortest mushing experiences we offer and it is a protected trail along the edge of a marsh which is about 5km around a field close to the lodge. Guests will share one sledge and during the trail change so both guests will get the opportunity to drive the sled. 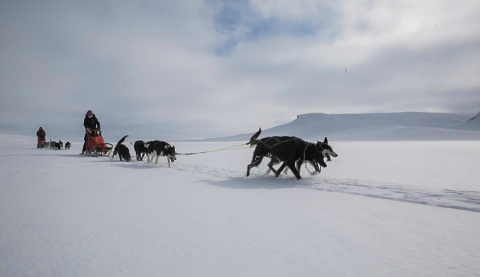 You can also experience the thrill of mushing as a passenger seated comfortably in the sled driven by one of our guides. In some conditions we may choose to alter the route slightly and take the more challenging inner loop to provide some variety for the dogs. During this short run you will experience how well the dogs respond to voice commands as we can choose different options of trail. Visit ends in the dog yard where there will be time to cuddle and get to know the dogs.